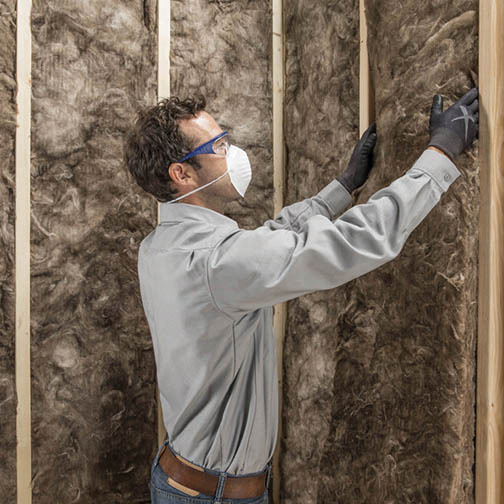 Fiberglass insulation is used to insulate walls, ceilings, and anywhere that preventing heat loss is important. Note – the higher the R-value, the better job it does at preventing heat loss. Each thickness of insulation is made to fit in between lumber materials – R11 and R13 for 2×4, R19 for 2×6, and so on. It CANNOT be forced into a cavity that is too small, or it will not perform. 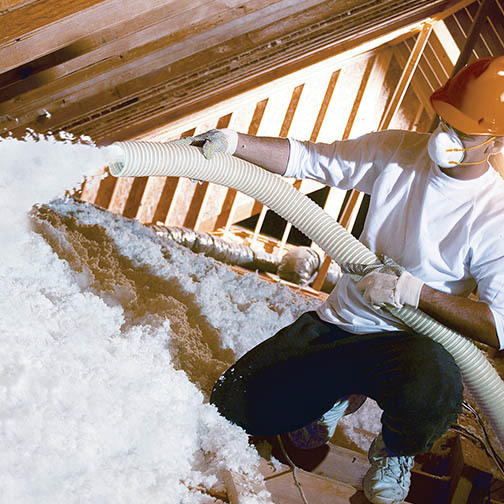 “Blow in,” or “loose fill” insulation can be used in attics by themselves or over the top of existing insulation to increase it’s R-Value. Builders stocks both cellulose and fiberglass blow in insulations. When you buy 10 bags, you are given usage of one of our blowing machines free for one day. Note that Builders does have an installed insulation division that would be happy to offer a free quote.